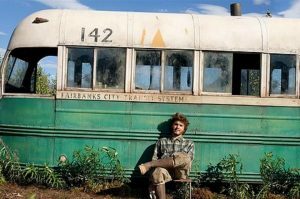 After graduating from Emory University, top student and athlete Christopher McCandless abandons his possessions, gives his entire $24,000 savings account to charity and hitch-hikes to Alaska to live in the wilderness. Along the way, Christopher encounters a series of characters that shape his life. An American biographical survival film Into The Wild is written, co-produced, and directed by Sean Penn and is an adaptation of Jon Krakauer’s 1996 nonfiction book of the same name.